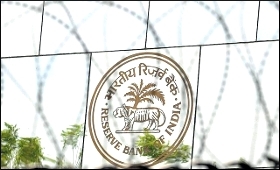 The Reserve Bank of India (RBI) on Monday said the traditional banks needed to evolve into new-age digital banks to remain operational as financial technology (FinTech) lending companies were emerging fast as alternative source for the micro-small medium enterprises (MSMEs). "The age of FinTech is here and for the incumbent banks there is no time to lose. The banks that do not quickly convert in to a new-age digital bank run the risk of becoming history," RBI Deputy Governor S.S. Mundra said. He was addressing the inaugural NAMCABS (National Mission for Capacity Building of Bankers for financing MSME Sector) seminar organised by College of Agricultural Banking in Mumbai. "FinTech lending companies and the market place based lending, thus, have an underlying potential to emerge as an alternative source of finance for the small businesses," Mundra said. He said that the banks must view the success of FinTech ecosystem as an opportunity and not as a threat. "The FinTech companies have leveraged on growing technological advances and pervasiveness of smartphones and have targeted niches in small and medium enterprise (SME) lending to bridge the funding gap for small businesses with innovative and flexible credit products," he added. Potentially, the MSME borrowers can apply online in minutes, select desired repayment terms and receive funds in their bank accounts within 2-3 days with minimal hassle, Mundra said. "There are few documentation requirements, very quick turnaround time and flexible loan sizes and tenors," he said. As per the International Financial Corporation (IFC), a funding gap of $2.1-2.6 trillion exists for all formal and informal MSMEs in emerging markets alone, which is equivalent to 30 to 36 percent of current outstanding MSME credit, he added.